If you’re thinking about moving to China, you should consider installing WeChat (Wēixìn微信) on your smartphone. In China, it is more common for people to ask for your WeChat ID than your phone number. WeChat is a mobile text and voice messaging service developed by Tencent Holdings Ltd. (Téngxùn 腾讯), a leading internet company in China and was released in 2011. In the second quarter of 2015, Tencent’s WeChat recorded 600 million monthly active users, according to Statista. For a foreigner who lives in china and seeks to immerse in the Chinese culture, WeChat is a must have application. It offers a wide range of services and features, but for someone studying Chinese, it is also a good platform to practice the language and learn from others. Scan QR code – Get a user’s ID by scanning his/her QR code. Shake – shake your phone and be connected automatically with another user who also shakes their phone close by. People Nearby – share your information and connect with people around you. This is great for making new friends! 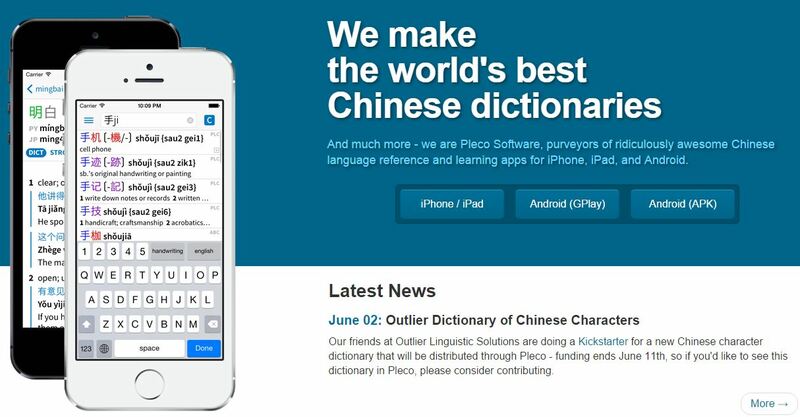 WeChat friends, especially Chinese ones, may act as valuable language partners. 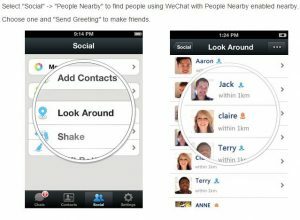 WeChat makes the notion of language partner even more interesting because you can have as many language partners as the contacts on your list and you will always have somebody available to chat with you online. The text and voice messaging features of the application turn out to be great tools to help you recognize the Chinese characters and practice Mandarin Chinese, even for people who are at an absolute beginner level. Writing Chinese characters when chatting with your friends on WeChat is a fun way to put into use what you’re learning in class. How does it work? If during your Chinese class you learn nǐ hǎo 你好 (hello) and zài jiàn再见(goodbye) for example, then start your chats with nǐ hǎo, and end them with zài jiàn. As you write the same characters again and again, it will help you to recognize them. To enter characters on your smartphone, you can go to Setting-Language and Input Methods-Install Chinese simplified; or you can use specific input apps like Sogou, which also allows you to easily switch between English and Chinese. 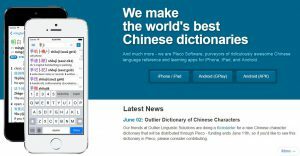 Apart from words you learn in class, the Chinese-English dictionary Pleco is another great application you can download to learn new words that you can later use in chats and it provides you with the pronunciation of these words as well. Pleco also allows you to draw characters by yourself, in order to practice your hanzi writing skills. 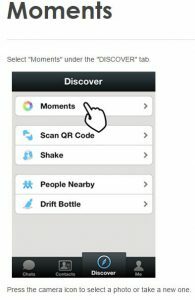 Moments is a feature that allows you to share photos, sights and texts with your friends. Sharing texts, feelings and thoughts in Chinese is another good way to practice the language. The advantage of this is that it helps you increase your vocabulary. You are more likely to remember words that you used to express an opinion than random vocabulary you may have learnt in class. The Chinese words you publish carry a context that will help you remember each of them and their meanings. In addition, the more you use them, the better you remember their characters. How does it work? Once you have something to share with your WeChat friends, don’t just rush on your keyboard to type in English. Think about a simple sentence structure, look for the Chinese equivalent of each of the words on Pleco, their characters and listen to their pronunciation. Then go on WeChat and share your simple sentence in Chinese. Another advantage of this is that you get feedback from friends if you make any mistake. I remember sometime ago, when going for dinner I published Wǒ yào wănfàn我要晚饭 (I am dinner) on my moments. A few minutes later, a friend commented on my post and told me that what I should have said was Wǒ yào chī wănfàn我要吃晚饭 (I want to have dinner). These are things you almost never forget. The posts of Chinese friends on WeChat are a good resource to learn the meaning of the words and to practice reading Mandarin Chinese as well. WeChat has a Moments translation feature, which allows you to translate friends’ posts into 21 different languages. The key, however, is not only to translate. 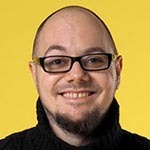 The key is to remember the characters by checking them against their translation. In addition to that, commenting on others’ posts in Chinese is a good way to keep practicing your skills. WeChat is a good application for interactions and interacting with others is a good way to learn a language. The good thing with WeChat is that you have fun while studying. The topics addressed during your chats in Chinese are interesting and that will drive your determination to remember the words. You won’t feel that you really study hard, but afterwards the result will be noticeable. This article was written by LTL Intern Gaelle Ayamou. Alex first came to China to study Mandarin in 2010. He joined LTL in 2012 and today is Director of LTL Shanghai. He enjoys playing the drums and studying languages.